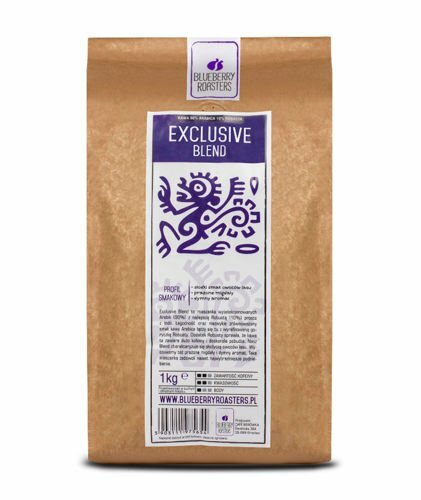 This exclusive wholebean coffe is 90% Arabica 10% Robusta. It is prepared in a 'Blueberry Cafe' coffee roaster. 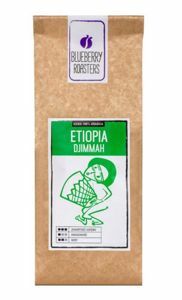 It is a blend of selected Arabica with the best Robusta (10%) straight from India. Gentleness and extremely balanced taste of Arabica coffee combines with a refined bitter Robusta. 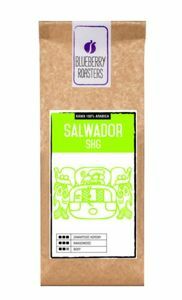 The addition of Robusta makes this coffee contains a lot of caffeine and perfectly capture. Our Blend is characterized by the sweetness of the fruit of the forest. We sense a roasted almonds and smoky aroma. This mix will satisfy even the most fastidious palates. Mostly it is sold to the restaurants, but nowadays a lot of people had proffessional coffee machines at home. If you wish grounded coffee, please do not hesitate to e-mail us. Specification: suitable for all coffee press, coffee machines and infusing in the cup.